← Today’s Toon: Don’t Blink! Friday already? It’s been a crazy couple of weeks, kids. Thanks for your patience. 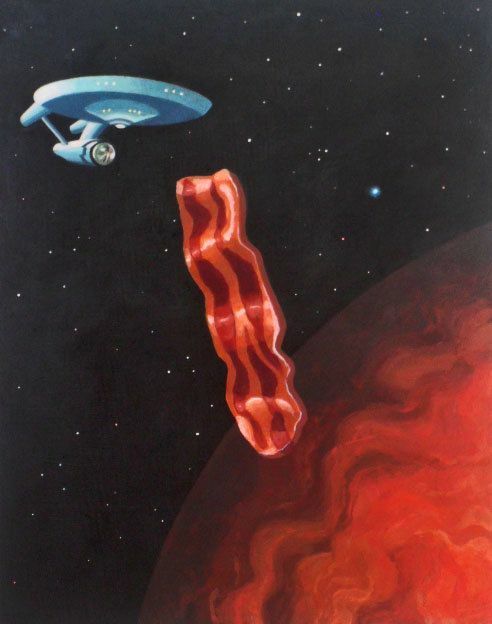 Here’s a funny Series by artist Jessie Avarian . 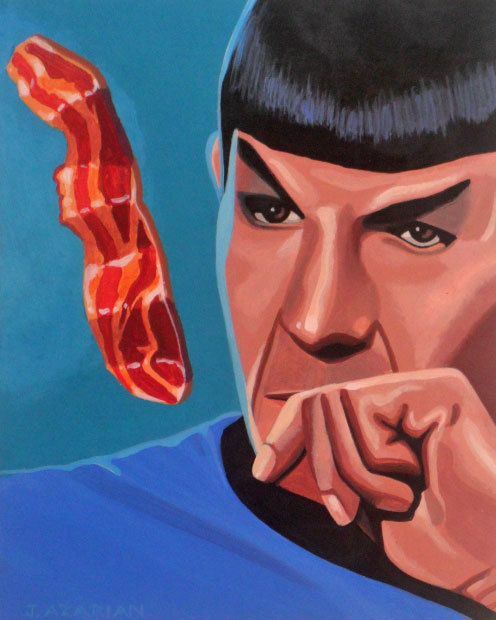 Spock and the crew puzzle over the human fascination with bacon! 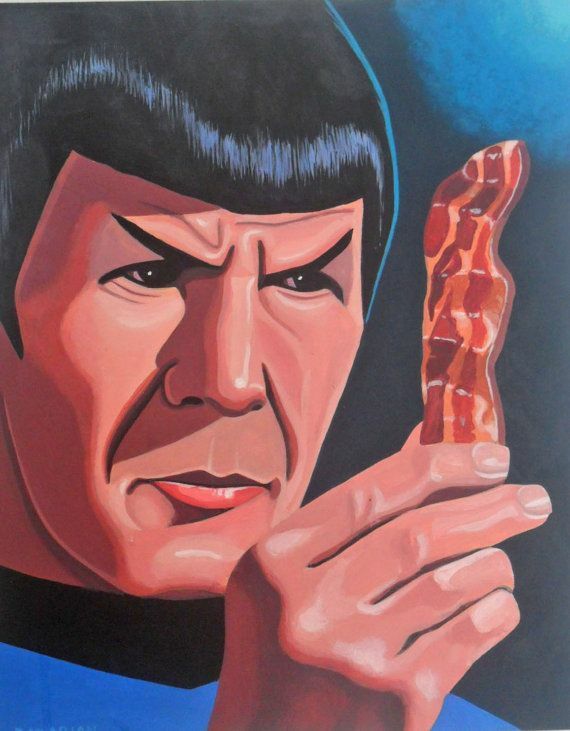 I bet even the Vegetarian Vulcan was tempted by its heavenly aroma! 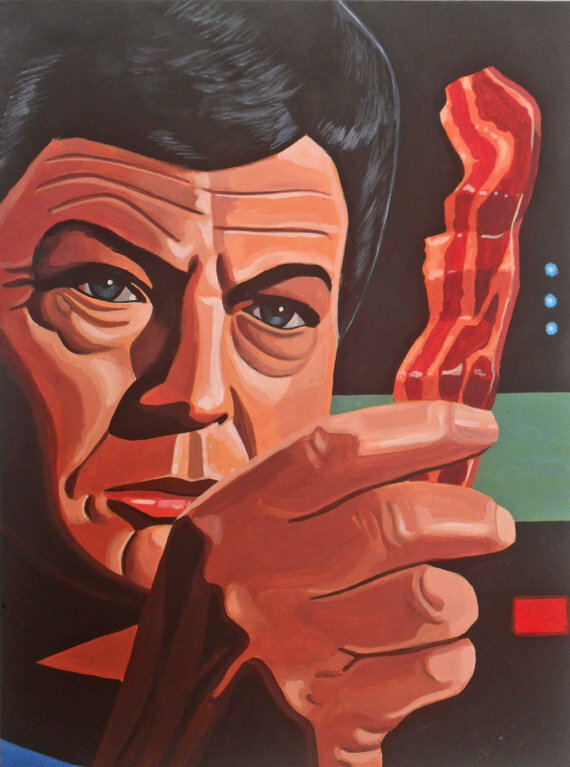 I hope he does Kirk gobbling it all up! Jessie’s whole series is available on Etsy here. 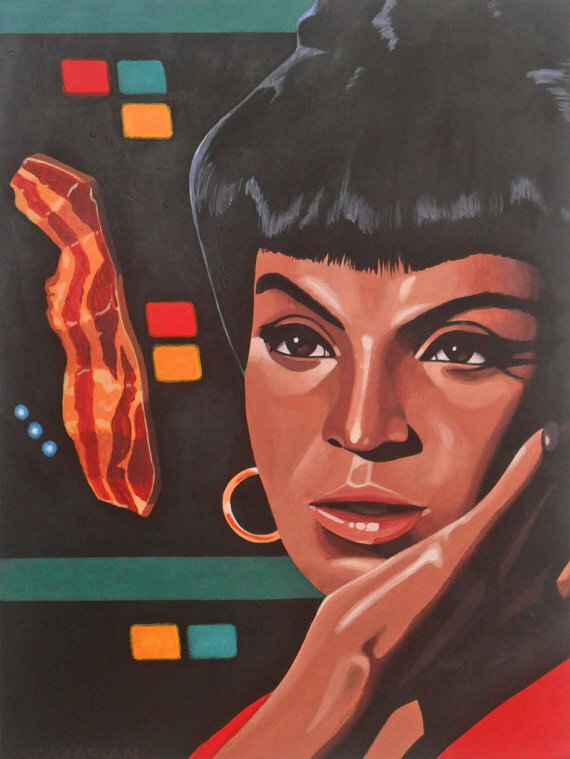 This entry was posted in Fan Art Fridays (FArFri) and tagged Bacon, mccoy, Spock, Star Trek, Uhura. Bookmark the permalink.